I have had limited use of Cleansing Oils and almost been fearful of them. As such I'd had this cleansing oil from Rossi, a brand I wasn't particularly familiar with sitting on my bathroom shelf for sometime. Rather than dive in I'd reach for my usual products until I decided it was time to man up and start the testing process. Why did I wait so long as the question I now ask myself. Rossi Uvema is a brand which creates products using 100% of the purest natural ingredients in all of their products. They also like to focus on what they call nature's 'unsung heroes', in this case Rice Bran and Borage Seed Oil. The cleansing oil from Rossi is a natural cleanser blended with the aforementioned ingredients as well as Jojoba and Avocado Seed botanicals. These are pure, high quality cold pressed oils for even the most sensitive of skins to cleanse and moisturiser your skin. And have no fear about essential oils, there are none of those to be found here. Back to the Rice Bran and Borage Seed Oils. Rice Bran Oil is used to improve your skins elasticity, soothe any irritations and even skin tone. And Borage Seed Oil is a herb with Roman origins. Borage was often used in medicinal teas and today used for the oil which is one of the richest known sources of GLA, an essential fatty acid. As already alluded my experience of using the Rossi Cleansing Oil was positive. The packaging is sleek and sophisticated and has my favourite feature, I can see how much I am using. It has a spray nozzle, unusual in my experiences which provides a thin application which does come out somewhat aggressively so you will need to apply to hands. It's a thick oil so does not run like other oils I've used, even the thicker ones and I think that's in part due to how much is dispensed at a time from the spray nozzle. 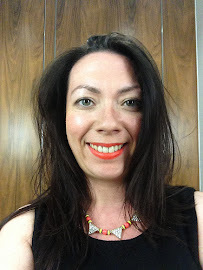 My usual skincare regime is to remove my make up, particularly eye make up before going in with the cleanser. 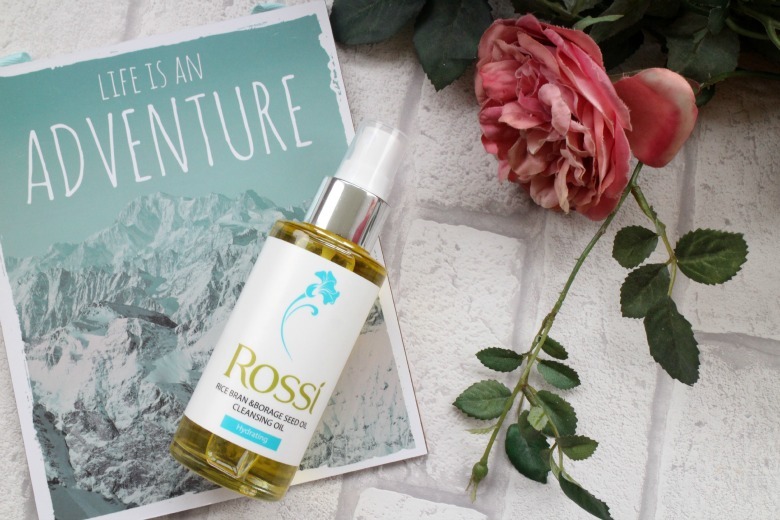 The first time I tried Rossi's Cleansing Oil I was out of cotton wool so I decided to see how well it would work at removing my make up entirely. Well it showed me. After washing my face I picked up a white towel and not one speck of make up was left on my skin. Amazing results. The cleansing oil has a nice slip without being greasy and my skin felt clean, fresh and was glowing on removal. With skin that's lent itself to the drier side over Winter and especially post flight this product has been amazing to use. And like me if you love that almond, marzipan scent, you'll love using this.